The theme of this year’s Montreal’s Sight + Sound festival, Hyperlocal, kills two birds with one stone. It’s both an invitation for audiences, performers and artists to explore networked art production and its contextualization within an ultra-localized setting, as well as a means for event organizers to address financial insecurities in the art world by bringing the festival back to its roots. “We’re interested and have been interested in networked art production and what this means for contemporary art and digital culture, and this theme allows us to address a more constraining [financial] factor in a positive light,” said Eliane Ellbogen, artistic director and co-founder of Eastern Bloc, the digital arts centre hosting the festival. While the festival isn’t experiencing any budget cuts per se, Ellbogen said that they’ve tightened the belt this year due to general financial insecurity. Last year’s programming included over 50 artists from ten countries and was spread among four locations. This year’s line-up similarly includes performances by local and international talent alike, installations, workshops, panel discussions and public interventions, all held at Eastern Bloc. “I’m interested in using obsolete technology […] taking technology that people throw away and using it to re-create something new is very important.” — Marko Timlin, Finnish artist. According to its website, the festival will host artists whose practices engage in dialogic processes occurring in real time, blurring the boundary between real and virtual spaces. For this year’s edition, Ellbogen got in touch with Marko Timlin, a Finnish artist. 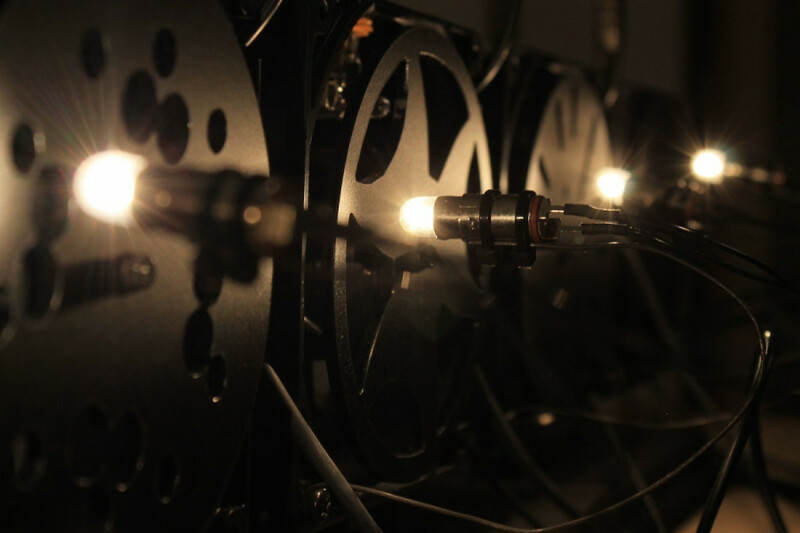 Timlin, who is performing on May 23, will debut Sound Disk Machines: a project that converts light into sound. “I play the instrument in darkness, and it’s very sensitive to different light sources, to the angle of entry of the light,” he said. 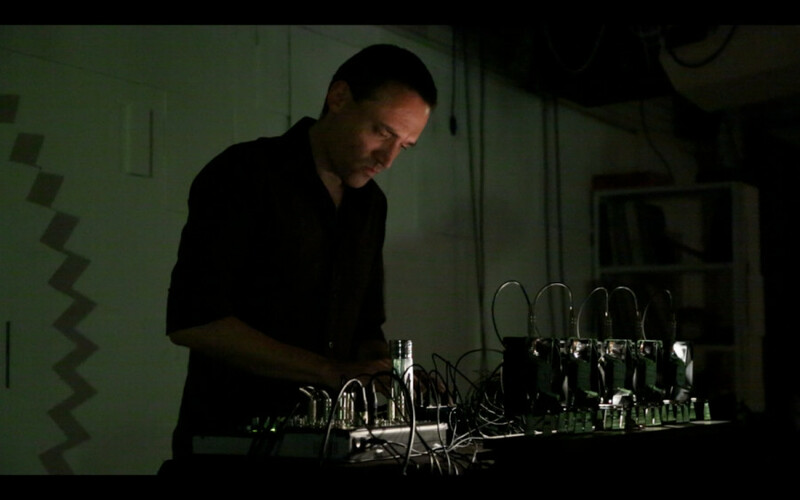 For this project, Timlin uses discarded analog instruments like computer fans to create sound. “I’m interested in using obsolete technology […] taking technology that people throw away and using it to re-create something new is very important,” he added. “What Marko has in common with all the artists is that they all have a sense of the impact of digital art in the larger cultural sphere,”,” said Ellbogen. Timlin’s work, being specific to a space and a time, is meaningful while addressing the festival’s “Hyperlocal” theme, she said. Timlin, who lived in Montreal from 2009 to 2010, studied at McGill University’s department of music technology. “Montreal is one of the most interesting big cities I know, and I think music in general, not just the digital art scene, plays a very important role in the city,” he said. As was the case with previous editions of the festival, this year’s offering takes place during Montreal’s Digital Spring, an event held from mid-March to mid-June in recognition of the city’s bustling digital arts scene. The Digital Spring, inaugurated in 2014, has since doubled in size—150 events are taking place in this year’s edition. Next year, the Sight + Sound festival will be held in the fall. According to Ellbogen, replies for funding requests can be received in March or April, so pushing the festival back will give organizers more time to plan according to their budget.